I add links and short abstracts for research publications as they are published. Most of my academic research also appears at: Academia.edu [personal site of research papers] or here: ResearchGate. Morris Chapter 8 Making Habitable Lives in Small-town Russia_pp233-248. Offering a rich ethnographic account of blue-collar workers’ everyday life in a central Russian industrial town coping with simultaneous decline and the arrival of transnational corporations,Everyday Post-Socialism demonstrates how people manage to remain satisfied, despite the crisis and relative poverty they faced after the fall of socialist projects and the social trends associated with neoliberal transformation. Morris shows the ‘other life’ in today’s Russia which is not present in mainstream academic discourse or even in the media in Russia itself. This book offers co-presence and a direct understanding of how the local community lives a life which is not only bearable, but also preferable and attractive when framed in the categories of ‘habitability’, commitment and engagement, and seen in the light of alternative ideas of worth and specific values. Topics covered include working-class identity, informal economy, gender relations and transnational corporations. to labor and economic activities; the “deregulation” or fuzziness of state practices and bureaucratic rulemaking; and the complexity of economic and social reasonings by agents themselves—to explain action. In each case, I offer brief empirical examples from my field research in provincial Russia. Morris, J. (2019). The Informal Economy and Post-Socialism: Imbricated Perspectives on Labor, the State, and Social Embeddedness. Demokratizatsiya: The Journal of Post-Soviet Democratization27(1), 9-30. Institute for European, Russian, and Eurasian Studies, The George Washington University. Retrieved March 4, 2019, from Project MUSE database. Review of: Simon Kordonsky, Socio-Economic Foundations of the Russian Post-Soviet Regime. The Resource-Based Economy and Estate-Based Social Structure of Contemporary Russia, Europe-Asia Studies 70 (7), 1171-1172. Based on long-term ethnography on working-class men, this chapter investigates how global changes in production and labour inflect working-class Russian masculinity. These changes include challenges to traditional Russian factory work by the informal economy and transnational corporations. Performative masculinity through consumption and do-it-yourself (car ownership, mechanical repair and tinkering) is subject to change. Automobility is emblematic of uneasy social mobility and engagement with neoliberal governmentality. It marks how masculinity intersects with both aspiration and stubborn retrenchments of more traditional working-class identities. The machinic assemblage (in Lazzarato’s terms) of male, worker and automobility is dynamic. It recombines new subjectivation in neoliberal work, as worker, as man, and in relation to that arch-symbol of the machine–human interface, the car. Morris J. (2018) Automobile Masculinities and Neoliberal Production Regimes Among Russian Blue-Collar Men. In: Walker C., Roberts S. (eds) Masculinity, Labour, and Neoliberalism. Global Masculinities. Palgrave Macmillan, pp. 171-193. This article draws on ethnographic work carried out since 2009 on workers and automotive unions in Kaluga, Russia. The contrast between secure and temporary contract workers in foreign-owned car plants is a focus of activism among emerging alternative trade unions in Kaluga. Workers in both the ‘new’ production-scape of high-tech foreign-owned automotive assembly, and the ‘old’ low-tech Soviet production contexts articulate similar interpretive understandings of what constitutes ‘precarious’ work: lack of autonomy and the lack of a ‘social wage’ generally in labour. We interrogate this through in-depth interviews with unionised and non-unionised workers in the auto sector and other industries locally. A divide emerges between workers who go to work for the car plants, and those who remain in Soviet-types firms and who reject the labour relations model that it offers and which they understand to contrast with a traditional ‘paternalistic’ Russian model. This article reviews the scholarly treatment of work and class in postsocialist states. It traces how class discourses under socialism led to a lack of meaningful working class studies in the postsocialist academy. It offers as an agenda for future research three points of departure: (a) greater confrontation of the one‐sided discourse on class in these societies and the academy itself (class blindness of research). (b) The value in studying postsocialist societies both comparatively to global North and South, and as an intermediate positioning for worker exploitation and responses in global capitalism. (c) To achieve the first 2 agenda items, a more grounded methodological approach proceeding from the lived experience of class and work is proposed. Current research on social networks, memory studies and personhood, the informal economy, deindustrialization, and the “domestication” of neoliberalism show that empirically grounded work on postsocialist working classes can make important contributions to wider social science debates. Studying the “losers” of postcommunist transition can tell us much about populist politics, the rise of the global working class outside the global North and the nature of global capitalist exploitation more generally. In addition, this agenda serves as an important point of departure from the dominant middle class focus of research in postsocialism. Morris J. An agenda for research on work and class in the postsocialist world. Sociology Compass. 2017;11:e12476. https://doi.org/10.1111/soc4.12476. Morris, J. (2016). Not Soft Power, But Speaking Softly: ‘Everyday Diplomacy’ in Field Relations during the Russia-Ukraine Conflict, The Cambridge Journal of Anthropology, 34(2). particular feelings towards fellow citizens and the country. Abstract: Despite a narrative of deindustrialization, monotowns and former industrial settlements are numerous in today’s Russia, and are significant not only in terms of the territory they occupy and the population they host but also because of the particular economic and cultural practices, logics of community building, and particular types of “connectedness” and horizontal networks that make these places special and habitable for their “dwellers.” This article offers an ethnographic account of the daily lives of blue-collar workers in a former industrial town in central Russia. Based on extensive fieldwork, the article demonstrates how people live their lives and manage to remain “satisfied” with what they have despite the crisis and relative poverty they faced after the fall of the socialist project, losing the town forming enterprise, and the social trends associated with neoliberal transformation. The article presents a case study that shows the “other life” in today’s Russia, which is not at all present in mainstream academic discourse. In English, extended summary in Russian. 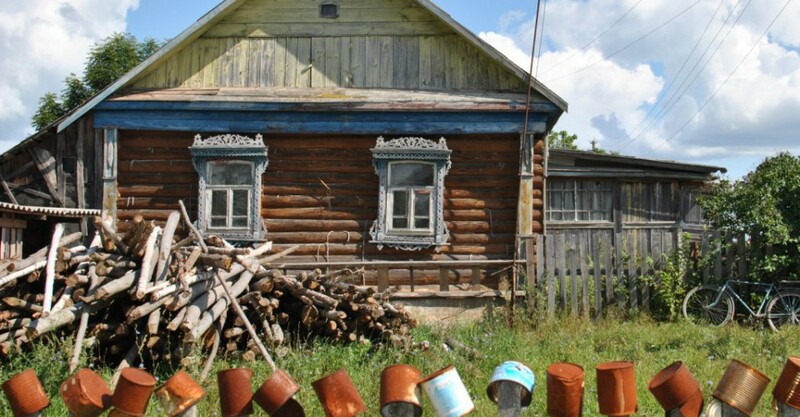 This article examines ‘lay’ memory and understandings of the Soviet Union within a working-class community in regional Russia. Based on ethnographi­c fieldwork and materials, it presents informants’ narratives on the past as seen through the division of lived experience into the present and the ‘time before’ 1991. Positive associations of the past refer to the benefits of the social wage under socialism, the loss of which is keenly felt even while paternalistic relations continue to be expected by workers from enterprises. Shared class-based memory is a resource articulating a ‘lay’ reasoning on the supposed superiority of the socialist social contract, rather than any articulation of political support for the Soviet system. What endures is a clearly articulated, morally normative understanding of social justice, mythical in the past and absent in the present. J Morris 2012 ‘Beyond Coping? 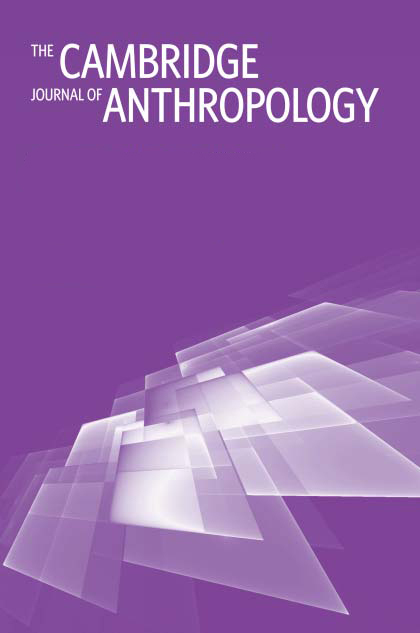 Alternatives to Consumption within Russian Worker Networks’, Ethnography, (14)1, 85-103. DOI: 10.1177/1466138112448021. Research on the post-socialist lived experience of the working poor often focuses on reciprocity and economic survival. It is equally important to examine how social networks facilitate self-provisioning and mutual-aid practices for non-subsistence consumption (decorative, non-utility items) in the face of material want. The ethnography presented here of manufacturing workers in a Russian province shows how self-resourced homemaking and decorative practices, after MacIntyre (1981), constitute an ‘internal good’ – a social activity valued for itself as much as the domestic production it results in. This good is important for workers’ mutual recognition as providers and their status as sufficiently resourceful subjects suitable for inclusion within a social network – itself an important resource for the working poor. The network provides opportunities for alternatives to consumption outside the market economy. Worker identities at work cannot be detached from those at leisure and at home, and even the meaning of the workplace is problematized by its special place within the network. The article adds to research on in-work poverty, ‘precarious’ work and informal economic activity. It provides ethnographic data on mobility between formal and informal work in Russia; industrial ‘normative’ employment is seen as precarious due to on-the-job insecurity (Standing 2011). Insecurity is understood through the prism of low-wages, lack of control over work processes, but above all the imperative on workers to become flexible, self-regulating subjects of the reformed neoliberal Russia. The discourse of self-governmentality is contrasted by informants to interpretations of more benign production regimes under socialism (Burawoy 1992). Exit strategies from, and discourses of resistance to, the new strictures of waged employment are then examined. These are sustained by access to an embedded blue-collar identity, and the social networks that support and reinforce such ties. J Morris 2011 ‘Socially Embedded Workers at the Nexus of Diverse Work in Russia: An Ethnography of Blue-Collar Informalization,’ International Journal of Sociology and Social Policy, 31(11-12): 619-631. DOI:10.1108/01443331111177832. Purpose – The purpose of this paper is to explore an important nexus of formal/informal economic activity in Russia: “normative” workers (in waged formal employment) by virtue of a strongly embedded work-related social identity and characterized by a significant number of weak social ties, move with little “effort” between formal and informal work. Design/methodology/approach – The paper presents extensive ethnographic data from the Russian provinces on workers and diverse economic practices. It utilizes participant observation and semi-structured interviews from periods of fieldwork over the course of a year (2009-2010). Findings – This study traces the theoretical debates on the informal economy from 1989 to 2008 and argues for a substantivist position on household reproduction that focuses on the interdependence of social networks, employment, class-identity and (informal) work. The findings demonstrate significant performative and spatial aspects of embedded worker identity, including the workspace itself as a contested domain, that facilitate movement between formal-informal work. Originality/value – The originality of the paper resides in its ethnographic approach to informal economies under post-socialism and the substantivist evaluation of diverse economic practices in Russia as supported by formal work-based shared identities. ‘culturally differentiated’ to contrast them to global and glocalised adverts (where a few concessions are made to local cultural factors). This article sets out to examine how assumptions about national identity are projected in contemporary Russian advertising. While some reference is made the television advertising of other goods such as beer, the focus is on tobacco, as many ads in this industry utilize the idea of nation. A number of ads are analysed, covering a period from the early post-Soviet period to the present; in particular the development of the Yava brand from the early post-war period to the present is covered in detail. Since the collapse of the Soviet Union a concerted effort has been made by all producers to Russianize their products. This article argues that this branding strategy, emphasised in advertising has been largely successful. The different ways advertisers attempt to evoke both ironic and utopian nostalgia for a mythical Soviet or pre-revolutionary past are explored in detail. Theories of cultural difference (Hostede and De Mooij) are utilized to support the view that generic marketing associated with globalization is particularly ineffective in the Russian context. It is concluded that the rapid replacement of images and slogans and the reliance on the ‘obshche-rossiiskaia ideia’ [the national Russian idea] in advertising is symptomatic of an ongoing sense of psycho-cultural lack in relation to Russian national identity.